According to the ever-attentive folks at The College Fix, Stanford’s trademark office sent an email to the student president of the College Republicans informing the association that their new design, which features a charging elephant over a backdrop of the American flag, is unsuitable for university use. “Stanford does not approve the use of the American (or other flag on product also featuring our trademarks (including the Stanford name) [sic],” states the email from Kara Hegwood, a Stanford trademark licensing associate. Although Ms. Hegwood cites university policy in denying the permission, the online Stanford University trademark guide makes no mention of flags in any capacity. The financial officer of the Stanford College Republicans, John Rice-Cameron, told The College Fix that he does not want to use the old logo, and sent an email to Hegwood asking why Stanford refuses to associate itself with the American flag. 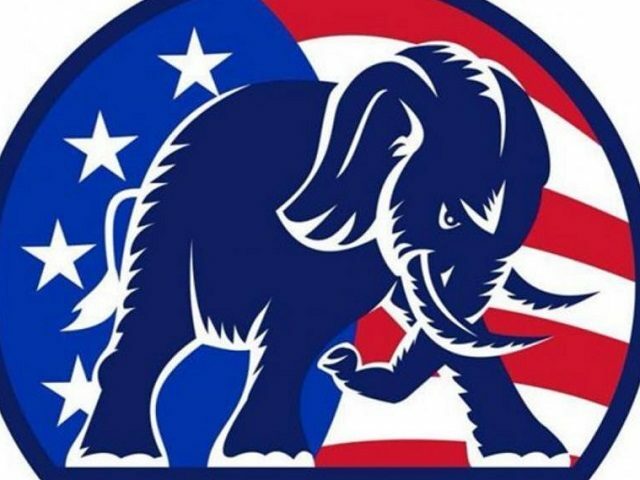 The Stanford College Republicans have already changed the image on their Facebook page, replacing their old logo with the new image of an aggressive elephant in front of Old Glory. Nonetheless, the College Republicans cannot use the new design on T-shirts, since it includes the school’s namebrand and thus requires university approval, Rice-Cameron said. Stanford isn’t the only academic institution that seems to take issue with the American flag. According to one recent report, growing opposition to the American flag on college campuses around the country stems from its supposed role in “triggering” students. At Hampshire College, for example, the flag was flown at half-mast the day after the 2016 presidential election to mourn the Trump victory, and after that the college removed the flag completely. California seems especially susceptible to animosity toward the flag. The University of California, Irvine has banned the flag from its lobby, while the student senate at the University of California-Davis have made the American flag optional at gatherings, allowing students to remove it if it makes them uncomfortable. “The flag to a lot of people represents capitalism, colonialism and the genocide of indigenous people, and this is why we don’t want the flag in meetings,” said student Becca Payne.